I am busy getting ready for The British Craft Pavilion, where I'll be exhibiting as part of London Design Week. The event takes place from 21-24th September and is curated by Hole & Corner magazine. 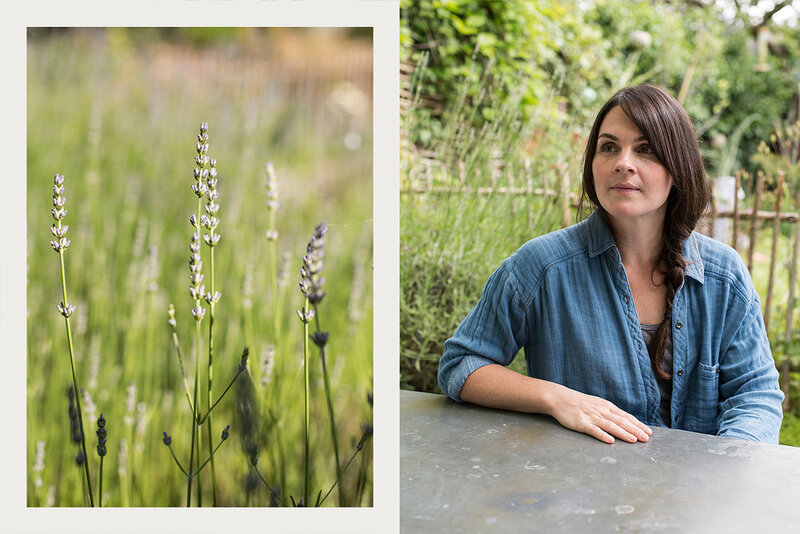 Below is an interview with me, recently featured on the Hole & Corner website, along with beautiful photos by Chloe Winstanley. It felt a little bit strange answering these questions - I'm still getting used to being interviewed rather than being the interviewer! Modern Craft Workshop is my North Cornwall based studio. I chose the name because I wanted something open ended. In the beginning I thought I might sell other people's work, but then I've been so busy making my own, I haven't had time. About eight years ago I noticed a small handmade sign in my local post office advertising pottery wheel throwing lessons. After my first lesson, I remember thinking “this is it.” I just loved it and I made a commitment to keep practicing for the rest of my life. I’ve been working at that ever since, and thankfully, I’ve improved over time. I was pretty crap at first but I’ve always had a lot of patience and I enjoy the process of learning more than anything else. What do you specialise in making? Plates, bowls, cups, jugs…I make wheel thrown pottery for everyday use. I love making simple, pared back, functional pieces and often work with chefs and restaurants, I’ve created tableware for some amazing dining rooms. I use local Cornish stoneware clay and mix my own glazes using natural materials. Do you have a particular philosophy or set of values when you approach your work you can describe? I try to be very focused and disciplined. I think you have to be with production pottery. There are so many different stages and one slip-up along the line can ruin everything. There’s a surprising amount of philosophical writings about pottery and it’s one of the things that first attracted me. I read Leach and Yanagi early on and I’m definitely influenced by that Eastern school of thought. I’m always striving to make beautiful, functional pottery. Although, ultimately, I just try to make each piece a little bit better than the one before. What part of your job most pleases you? It’s hard to say, as each part of the process is so important, but the thing I enjoy the most is throwing. 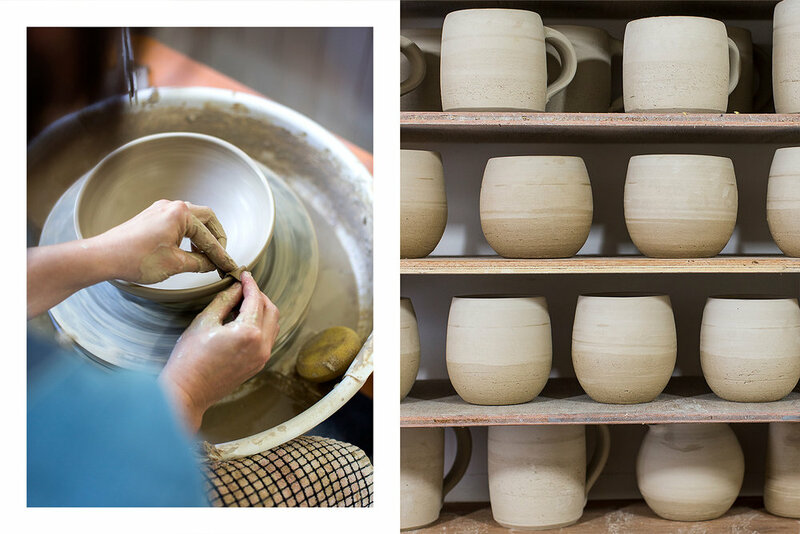 I love to sit at the wheel and make a whole batch of bowls – that’s probably my favourite way to spend a day. I also enjoy firing wood kilns. I like the unknown nature of the firing and the anticipation for what treasures could be inside. Working with mud and transforming it with fire, is an endlessly fascinating elemental process. Is there a particular material, person or object that has influenced your work? My influences are diverse because I come from a design background (I used to be a design writer and trends analyst) but I’ve gradually moved away from that and immersed myself in a more traditional craft culture. My home, on the border of Devon/Cornwall, is an area rich with pottery history and I’ve naturally absorbed and learned from this. Local craftsmen Svend Bayer and Clive Bowen are a huge influence and I’m delighted that I now get to work with Svend at the Kigbeare Kiln Project in Devon. What do you like listening to when you’re working? Often just birds singing in the garden and animals from the local farm - also fire crackling when we’re firing. For something a little louder I like music of a folk/rock/country/blues persuasion and usually listen to old radio programmess on iPlayer. I’m also partial to audiobooks – almost always non-fiction – on all kinds of crazy subjects. Anyone who loves craftsmanship and eating good food. 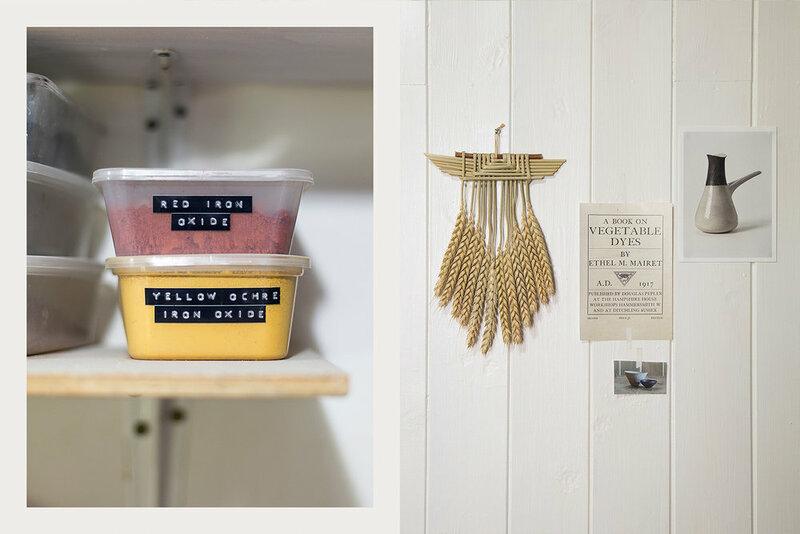 My simple aim is to make pottery that enhances meal times and makes an everyday experience a little more enjoyable. I work with a lot of amazing chefs and enjoy the synergy between high-level cookery and pottery, but equally, I’m just as happy making domestic pots that anyone can enjoy at home.